Gabinetto di Fisica - Museo della Strumentazione Scientifica - Università di Urbino "Carlo Bo"
The old Physics Laboratory of Urbino University originates from "academic experimental exhibitions" made firstly in the "College of Nobles" (at the end of 18th century) and soon afterwards in the scientific faculties of the University (first half of 19th century). The Physics Laboratory bacomes famous during all nineteenth century, when its Director was Alessandro Serpieri, physicist, seismologist and astronomer, well known in whole Europe continent for his research. 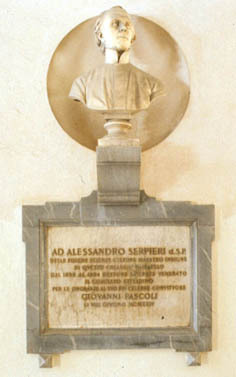 Alessandro Serpieri (1823-1885), was a typical member of the nineteenth- century italian scientific community and the most representative Director of the Physics Laboratory at Urbino University. He held the chair of Director for almost forty years (1845-1884). He was a great educator and scientist at the same time. As Scientist he was an appreciated physicist, seismologist, meteorologist and scholar of astronomy. His presence made the University of Urbino famous in Europe and in the world, particularly for having founded a Meteorological Observatory (1850) placed in a small tower (still visible) of the "College of Nobles", and for his studies on earthquakes. He held a correspondence with the most important scientists of the time; he was also an excellent educator and taught whole generations of scholars. 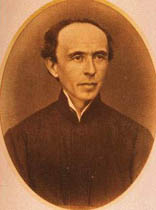 Yet, after the Unity of Italy (1861) and mainly after the taking of Rome (1870), the conflict between clerical and anticlerical forces made the permanence of the Piarist Father increasingly more difficult, until the secularization of schools forced him in 1884 to abandon the place in which he had carried out his studies for so many years. He moved to Badia Fiesolana (Florence) and died one year later. Serpieri's initiatives are still object of sincere admiration: on the fertile soil of the scientific and instrumental tradition introduced into the University by the craftsmen-mathematicians , his genius gave fruits that went soon beyond the local potentials, leaving many traces of his activity in spite of the objective difficulty the University and Urbino itself were facing. The University was turned into a "Libera Università Provinciale" ( Free provincial University) in 1862, (the first two years of the course of Pure Mathematics were introduced for the first time in this period), it however saw a radical reduction both in the number of students and in the resources given by the town and those allocated according to the unitary regulations for University education (Casati's act, 1859, extended to the whole kingdom in 1861, and Matteucci's University act of 1862). One might say, a posteriori, that Serpieri was the last representative of the institutional culture that, in spite of numerous obstacles and constraints, could still rely on the support of Urbino's noble families, of ordinary citizens, former students and town institutions, even though these, as mentioned above, gave eventually rise to implacable conflicts that embittered the last years of the famous Scolopian in Urbino.